Do you suffer from numbness or loss of sensation, muscle weakness, burning sensation, muscle cramps, tingling or pins and needles? These are symptoms of Neuropathy. Most of us can experience these in some point or another. And this is not a thing to ignore or taken for granted. Early detection and diagnosis of Neuropathy is vital. 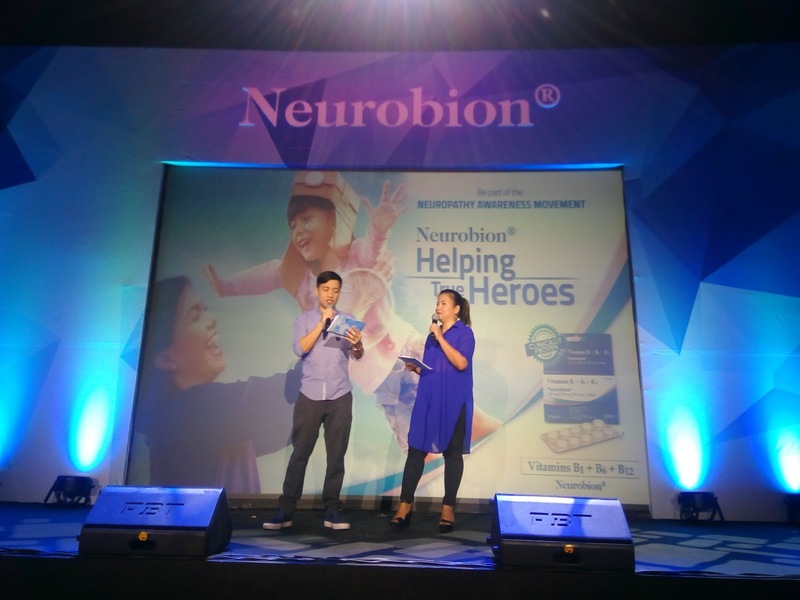 For this reason, Neurobion, the worldwide leader in B-vitamins and the nerve care expert from Merck Inc. Philippines, continues its nationwide advocacy, the Neuropathy Awareness Movement. Now on its 3rd year’s campaign is called ‘’Helping True Heroes.’’ The campaign highlights the importance of nerve health and is designed to help the millions of silent sufferers who are true heroes in their families to take an active role in keeping their nerves in tip-top state. Neuropathy affects 1 out of 3 people with progressing age and is common among people who have nutritional deficiencies e.g vitamin B deficiency caused by special dietary habits 9vegetarian, vegan); excessive smoking and drinking; as well as chronic disease like diabetes. Symptoms of Neuropathy can vary and include: numbness or loss of sensation (pamamanhid), muscle weakness (pangangalay), tingling/pins and needles (tusok-tusok), burning sensation (pag-iinit), and muscle cramps (pamumulikat). Caring for the nerves is as easy as exercising regularly; eating a diet rich in fruits, vegetables, whole grains and lean protein; getting at least eight hours of sleep every day; and limiting alchohol intake and cigarette smoking which are toxic to the nerves. 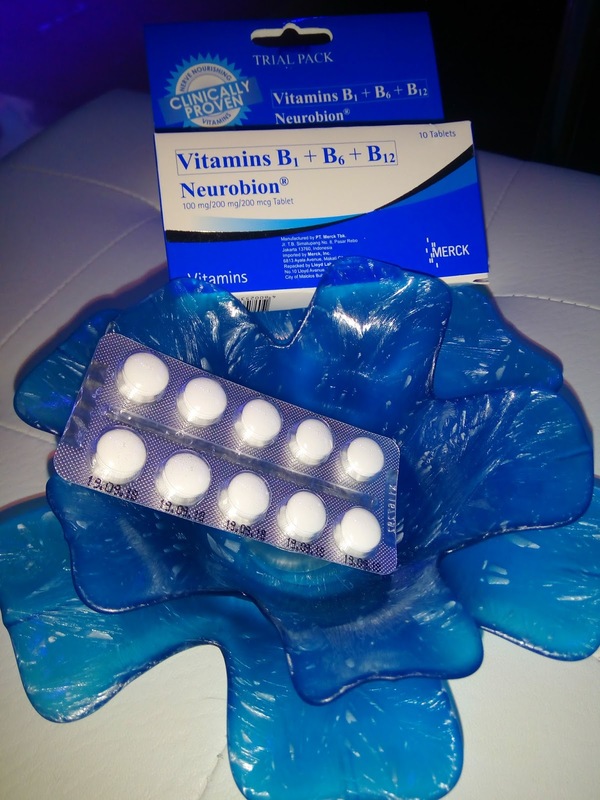 Studies also show that healthy nerves can be achieved by taking B-complex vitamin supplements like Neurobin daily. Held at the Market! Market! 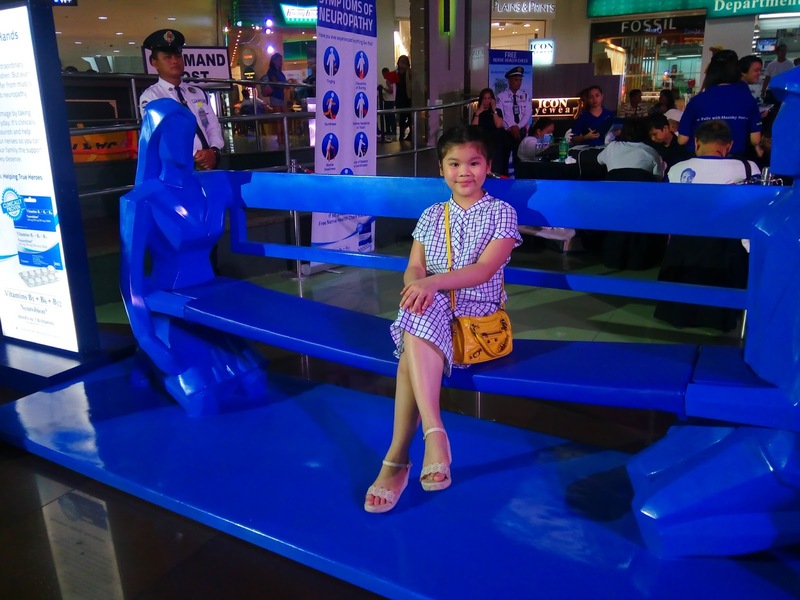 Activity Center, the whole-day Helping True Heroes launch event was headlined by activities and attractions that demonstrated the crucial role of healthy nerves in the lives of true Filipino heroes. The program was hosted by the Chico and Delamar. Also present during the event and lending their voices to the Neuropathy Awareness Movement were singer-actress Zsa Zsa Padilla and actor-host Ryan Agoncillo. The two shared their experience with Neuropathy and urged people to care for their nerves the same way they would for other parts of their body. The singing actress said ‘’I have been taking Neurobion for years now and it has done wonders to my nerves. 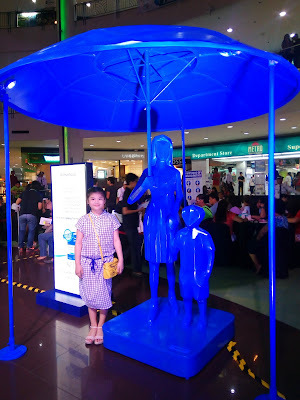 I do not experience numbness in my hands which is good thing because I love to cook for my family, and I also don’t experience cramps in my calves even after long hours of standing and performing on stage in high heels,’’ said Zsa Zsa Padilla. From free nerve health checks with medical experts, NeuroMove exercise demos, life-size functional art displays by renowned local artist Coco Torre and Jonel dela Cruz, to an impressive shadow play performance by international sensation El Gamma Penumbra, all served as wake-up calls and motivation for everyone to be more vigilant about nerve care. ‘’Neurobin contains an optimum balance formulation of vitamins B1 (strengthens the nerves), B6 (improves transmission of nerve impulses) and B12 (protects and regenerate the nerves , providing relief for people who suffer from peripheral nerve problems. With more than 50 years of heritage, Neurobin is trusted by doctors worldwide,’’ said Loy Dy Buncio, Brand Manager for Neurobin. Neurobin calls for support from healthcare professionals, influencers, media, families and friends to help raise awareness for Neuropathy and encourage suffers to get detected, diagnosed and treated without delay. For more information on Neurobin and the Neuropathy Awareness Movement, visit www.facebook.com/NeurobionPH.